Register UniFi Dan Streamyx Secara Percuma , Mudah , Cepat & Get Rebate!! : TM Promotion: UNIFI LITE PLAN 10Mbps @ RM149 (For Consumer) Are Now Available At All States! 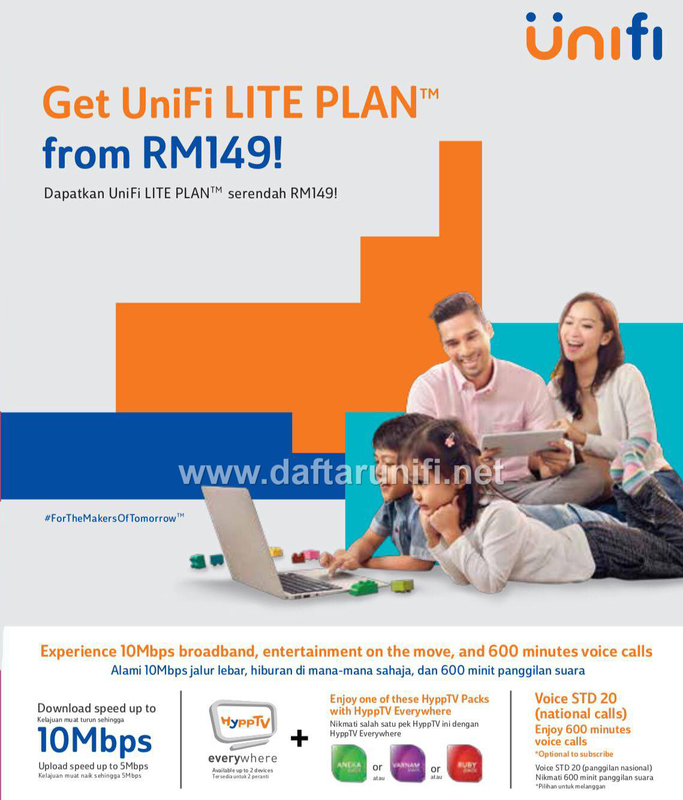 TM Promotion: UNIFI LITE PLAN 10Mbps @ RM149 (For Consumer) Are Now Available At All States! 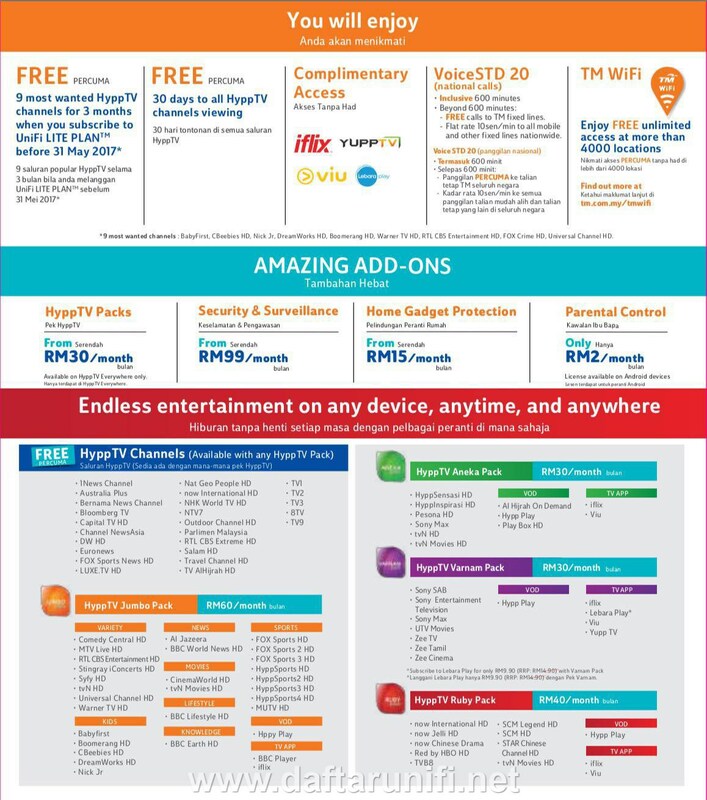 TM has launched a new UNIFI LITE PLAN 10mbps @ RM149 package for all states. NO HyppTV provided. Only HyppTV Everywhere is included in Unifi Lite 10Mbps package. Installer WILL NOT install HyppTV box at customer premise. Telephone set NOT PROVIDED during installation. Customers are required to claim telephone set at TM Point. Do not offer for EXISTING UNIFI users. Offer applicable for NEW and UPGRADE from Streamyx users under current plan of 512kbps, 1mbps & 2mbps only. Not applicable for UPGRADE from Streamyx users under current plan of 4mbps & 8mbps, strictly offer for regular UNIFI 30mbps only.